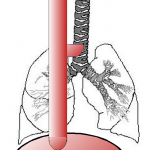 Pure Esophageal Atresia, with no TEF. 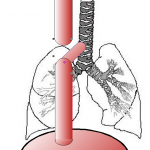 About 8% of EA patients have this type (which is also known as Gross type A, or Vogt type 2). 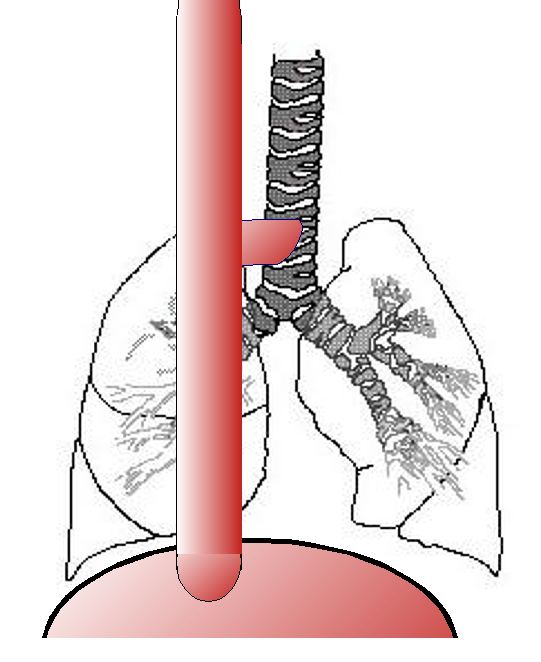 EA, with a proximal TEF, or a TEF connecting between the upper pouch of the esophagus and the trachea. (Gross type C, Vogt type 3B). 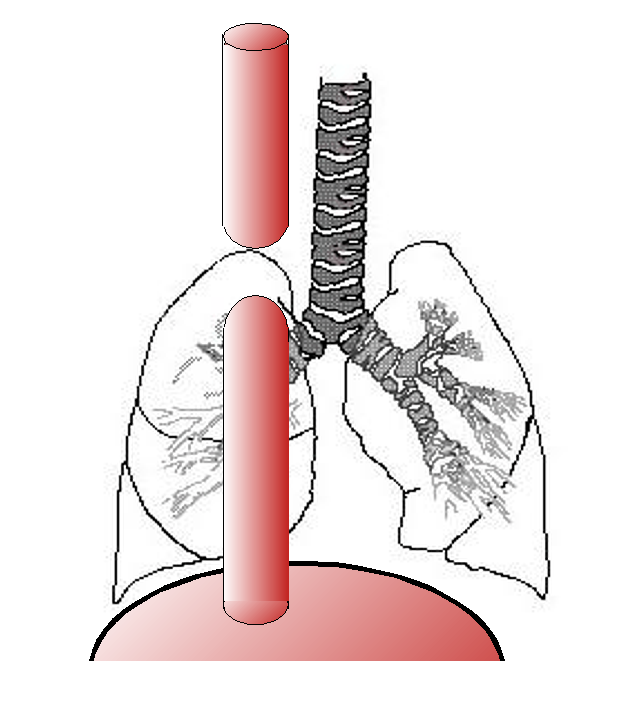 EA, with a distal TEF, or a TEF connecting between the lower pouch of the esophagus and the trachea. 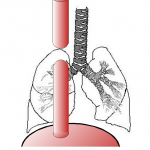 This is by far the commonest type of EA, with about 89% of EA patients having this type. 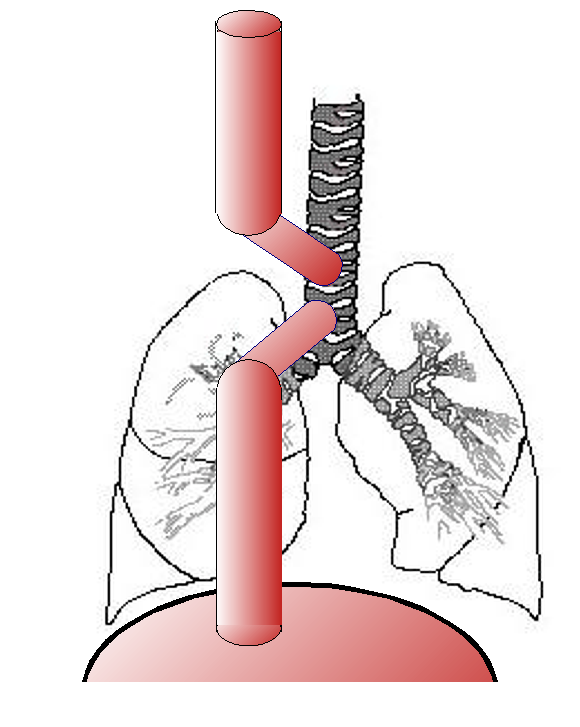 With this type of EA, gastric contents and acid can travel directly into the lungs, before surgical correction is performed. 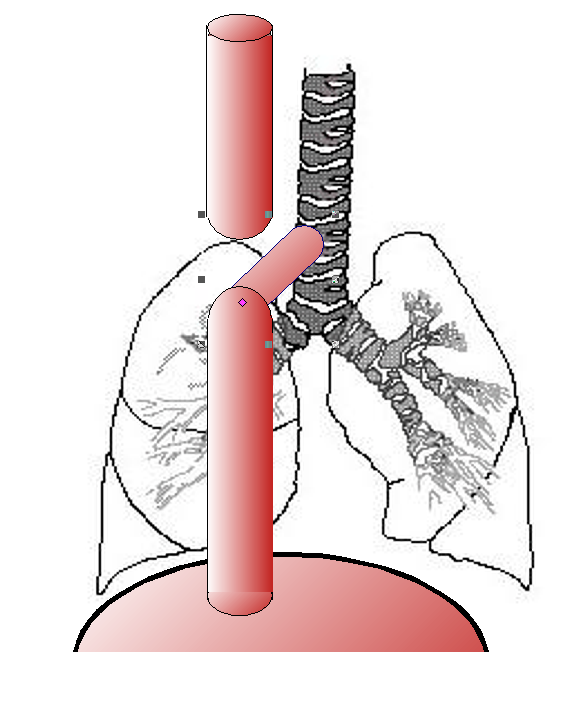 Dual TEF, where there is both a TEF connecting between the upper pouch of the esophagus and the trachea, and a TEF connecting the lower pouch of the esophagus and the trachea. 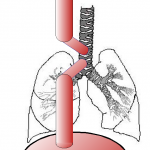 This is rare, with only about 1.4% of EA patients have this type. 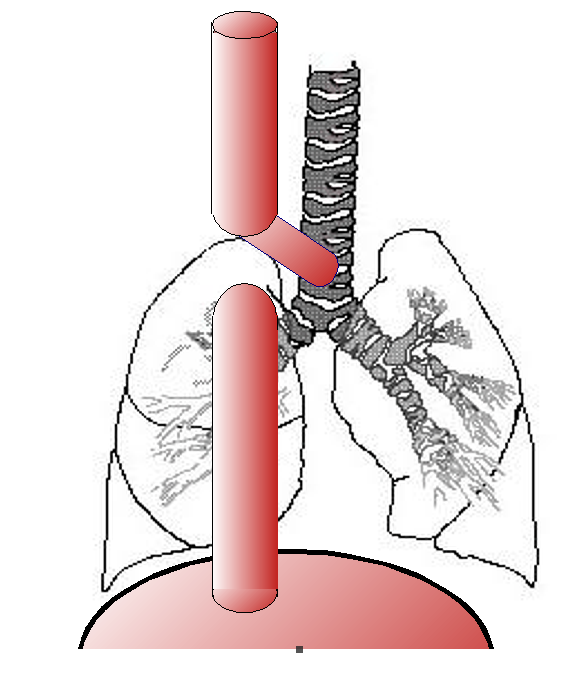 H-Type TEF, where there is a TEF connecting between the esophagus and the trachea, but there is no EA. Children with an H-Type TEF, unlike the other types, are often diagnosed later in infancy or childhood (and rarely as adults), rather than becoming evident shortly after birth. 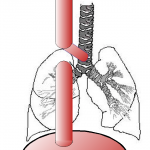 People with an H-type TEF can swallow, but often cough and choke during swallowing, especially with liquids, and may present with recurrent pneumonias. The exact prevalence of this form is not known (because they tend to be diagnosed late), but is thought to be about 4% (this is known as Gross type E).